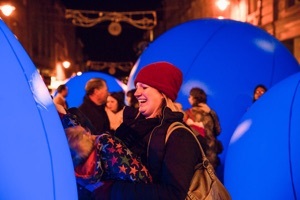 ‘Colony’ is a unique tactile audio-visual installation and performance involving large, interactive, audible spheres, which allow sound to be seen, heard and felt. 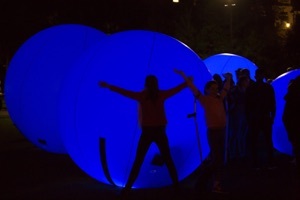 Colony consists of up to seven internally lit, air filled spheres ranging in size from 2 – 3.5 meters, that emit an otherworldly 20-minute sonic composition. These large tactile, sonic sculptures allow the audience to experience the physicality of sound through listening, touching, and hugging. 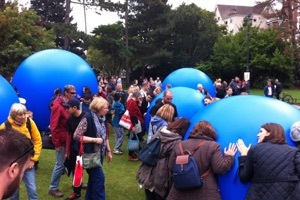 Colony is a collaboration between visual artists Mike Blow and Alison Ballard. In 2013 Hogarth Productions commissioned a re-visioned version of an original installation that took place in Shunt Vaults in 2009. The project was originally funded by Arts Council England, Oxford Contemporary Music and Reading Borough Council. Colony has been created for both indoor and outdoor spaces. Performances can cater for audiences of up to 250 or more. 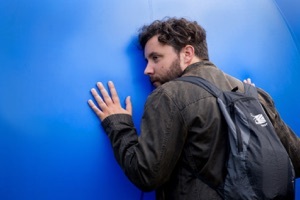 As an accessible, immersive and visceral work, Colony will appeal to new audiences as well as contemporary music enthusiasts, fitting in to town centres, festivals, galleries and performance spaces.